Click File > Export Sessions. Click either All Sessions or Selected Sessions. Click Next to select the export file location. 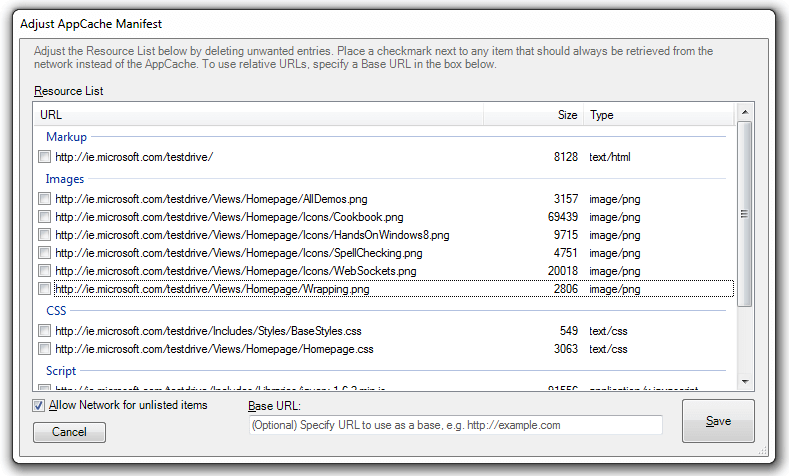 If exporting to HTML5 AppCache Manifest: Check any resources you wish to exclude from the CACHE section of the Manifest. These will be added to the NETWORK section of the Manifest. To specify a Base URL and convert the URLs to be relative to this URL, type this URL in the Base URL: field. Click Save. 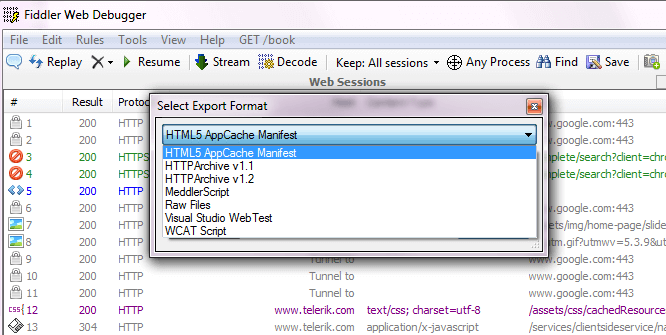 The AppCache Manifest appears in a text editor. Select the import format from the drop-down menu. 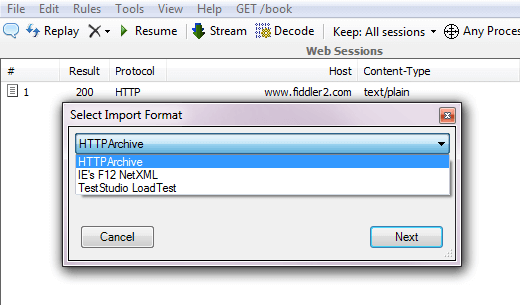 Create Custom Importers and Exporters with Fiddler Extensions.